20/07/16 - Harici Mikrodenetleyici - Serhan Argun, Harici mikrodenetleyici kullanmadan içerisindeki kontrolleri programlayarak BLE+algılayıcı+batarya &tt2;dan oluşan bir sistem oluşturulabilir mi ? You can use this board, which has the Bluetooth Low Energy (BLE) feture, in robotic or electronic projects to gain them wireless communication function. You can communicate your projects with Android or iOS devices by using the BlueFruit app. 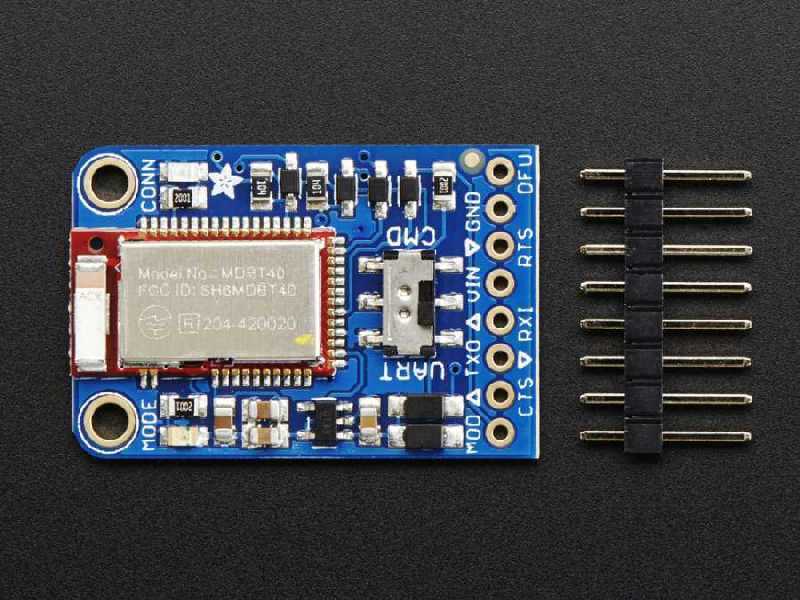 You can use this board in wireless serial communication applications by connecting it to your microontroller's UART output. 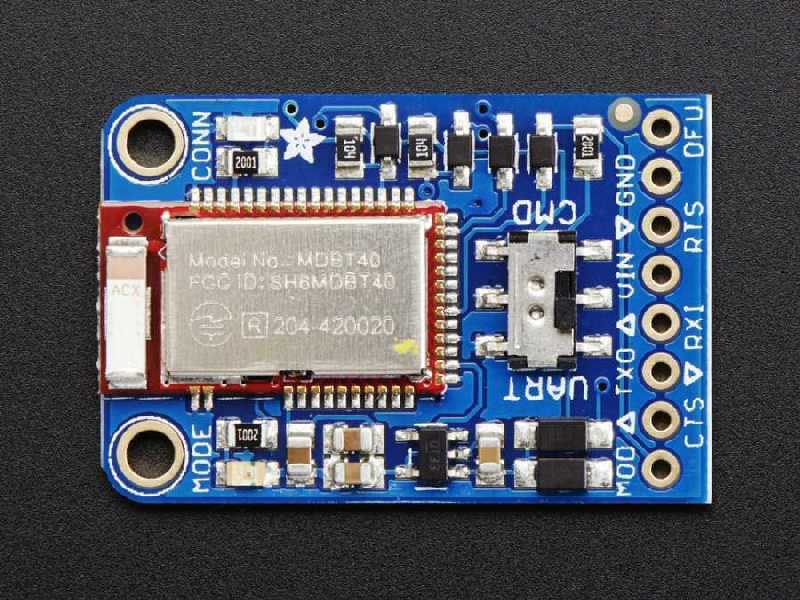 Also it has the ability to define and manipulate your own GAT services and characteristics, or change the way that the device advertises itself for other Bluetooth Low Energy devices to see. 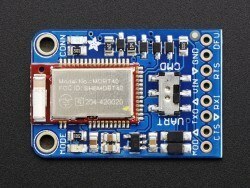 You can also use the AT commands to query the die temperature, check the battery voltage, and more. 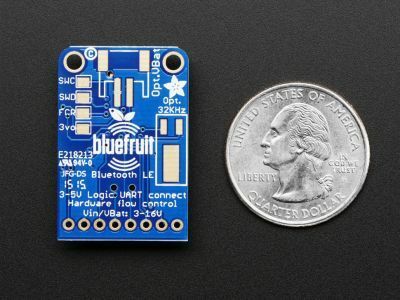 Using the Bluefruit iOS app or Android App, you can quickly get your project prototyped by using your iOS or Android phone/tablet as a controller. The app has a color picker, quaternion/accelerometer/gyro/magnometer or location (GPS), and an 8-button control game pad. 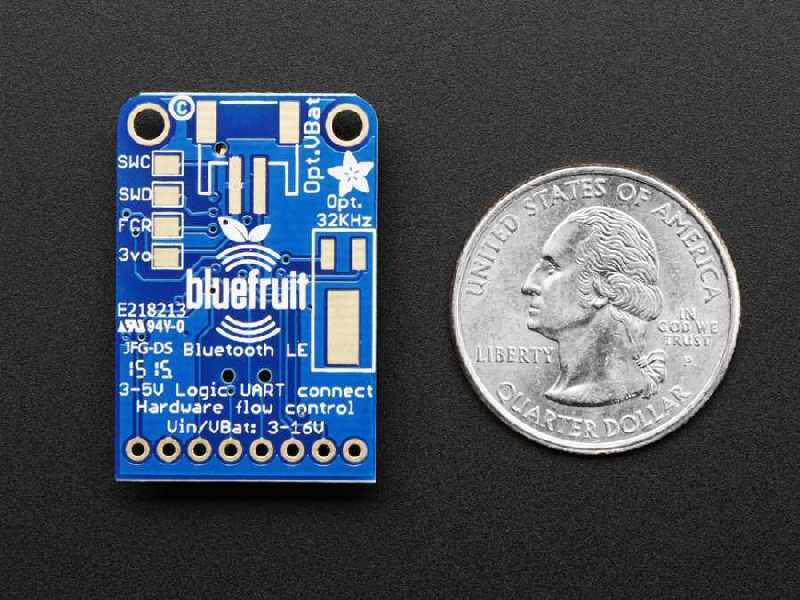 The Bluefruit can also act like and HID Keyboard, can become a BLE Heart Rate Monitor or turn into a UriBeacon. 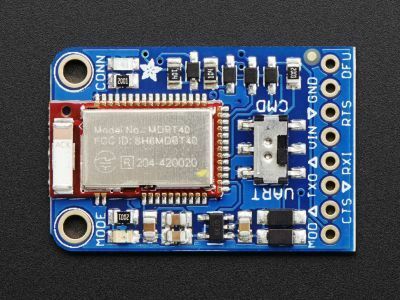 You can use Andoid or iOS devices to get firmware updates for the board. 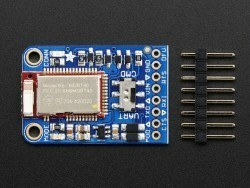 Click here for example code and Arduino library.